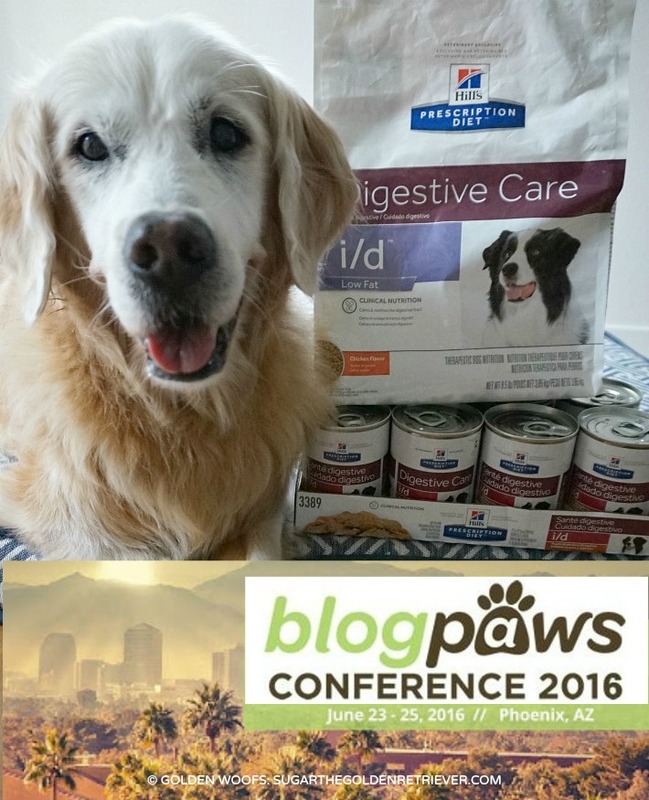 We are Golden Excited to attend 2016 BlogPaws conference in Phoenix! It’s going to be SUGAR’s 2nd BlogPaws. 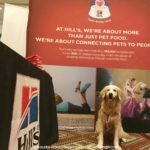 This year BlogPaws conference is extra special as we are honored to be sponsored by Hill’s® Pet. This sponsorship could not have come at a better time. SUGAR has developed digestive problems and Hill’s Prescription Diet i/d has provided her great relief. 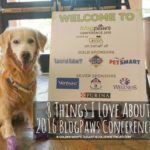 This post is sponsored by Hill’s® Pet and the BlogPaws Professional Pet Blogger Network. 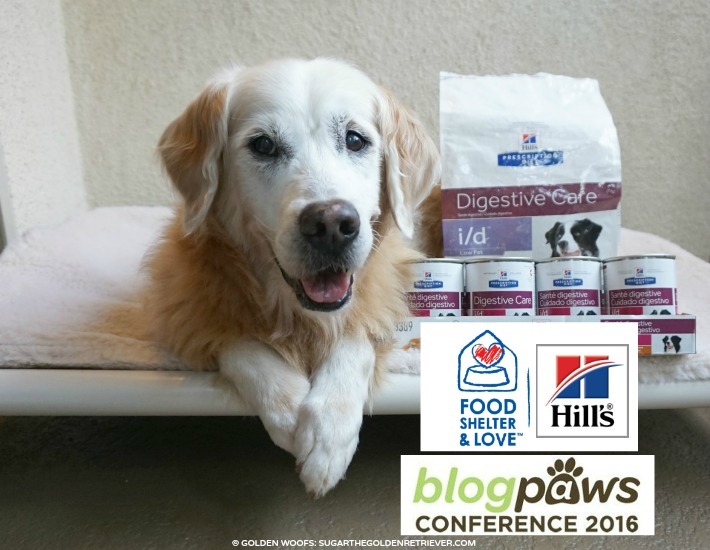 I have been selected as a Sponsored Blogger to attend the BlogPaws 2016 Conference on behalf of Hill’s® Pet, however we only work with brands we love. BlogPaws and my Sponsor are not responsible for the content of this article. For the past years, we’ve been participating in several Hill’s Pet campaigns focusing on having a healthy and happy pet. This year, Hill’s is reminding every pet parent to be Pet Prepared: Create a Disaster Plan. 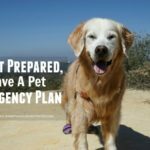 We invite you to review Hill’s infographic of “Can You Take Care of Your Pet in an Emergency“, which includes a checklist of what to include in your Pet Emergency Go-Kit. To learn more about Disaster Preparedness Plan visit Hill’s Pet Prepared. 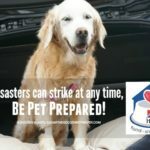 Disasters can strike at any time, Be Pet Prepared! Since we moved to Southern California, we had to re-evaluate our disaster plan. California is no stranger to natural disasters. We have to be prepared for types of natural disasters. Last week, we experienced an unexpected earthquake. It was scary, and SUGAR sensed it. We are glad that no major damage occurred, and all the pets in our area are safe. Do you know about Hills Disaster Relief Network? When disaster strikes, the Hill’s Disaster Relief Network is positioned to respond quickly with shipments of pet food to communities impacted by the disaster. If you are attending BlogPaws, make sure you stop by the Hill’s booth; say hello to the team and learn more about their Food, Shelter & Love program. Also, a great opportunity to meet with SUGAR, BlogPaws Hill’s Pet onsite Ambassador. Plus a photo opp with SUGAR and a chance to be featured on our Instagram account – Golden Woofs is a finalist for Best Pet Microblog, BlogPaws Nose-to-Nose. We hope to see you at BlogPaws. For more information, read these 2016 BlogPaws Conference FAQ’s that will help you prepare. Congratulations! I am so happy that you will be attending. I will also be there thankfully because of a sponsor. I can’t wait to see you again. I know that the Prescription Care I/D formula is highly used in my vet’s office. He recommends it for those with tummy troubles and for those who don’t want to eat. Sugar I am very glad for you! Our Golden Rocky had sensitive stomach issues and the Hill’s i/d helped him. Congratulations!! Aw, Sugar, I’m sorry you’ve been having digestive issues! But I’m glad the Hills’ Prescription i/d has been helping you to feel better! Ducky was on it, too, for about six months after her presumptive IBD diagnosis. I still keep some on hand for when she’s not feeling quite “right” and her regular food isn’t appealing to her. Have fun at BlogPaws and say hello to all our mutual friends for me! So glad to hear that Hill’s is helping Sugar’s digestive issues. It was a huge help for my granddog when he was having sensitive stomach issues too. Say hello to all of our friends! How wonderful the Hill’s formula is working well for Sugar! I wish I could attend the conference, but I’m really looking forward to reading everyone’s blog posts from the event. Have a great time in Phoenix! Congrats on your sponsorship! We love Hill’s Food Shelter and Love program. I was awake and felt the earthquake. None of the dogs seemed to care and Ali kept snoring away…zzz…I was surprised to hear it was a 5.2. I’ve felt some much stronger jolts over the years. By the way, I do need to put together a disaster plan for both me and the dogs. When Charlie first came to live with us, he was severely malnourished! I fed him Hills Recovery and he recovered quite fast!! Have a lot of fun at blogpaws!! I hope I’ll be able to make it next year!! Hill’s is so great, I’m really happy they’re sponsoring you! I look so forward to meeting you at the conference & taking photos with you & Sugar!